Computers have changed our lives; with virtual reality, they will change our very experience, recreating it in an image of our choosing. That, at least, is what the champions of virtual reality claim. It will not simply reshape our view of technology, they say, but our view of ourselves and the world we live in. It is about the increasing power of information technology to create simulated environments, new universes that are neither actual nor fictional, but somewhere in between: virtual. 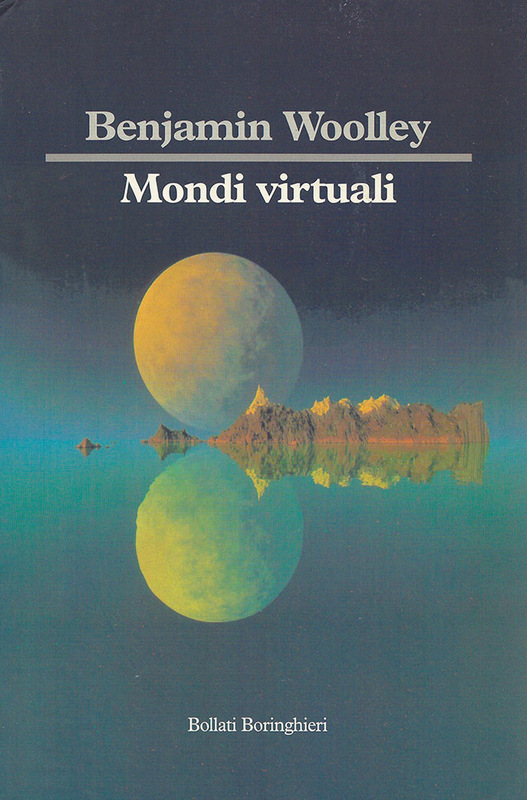 In Virtual Worlds, Benjamin Woolley examines the reality of virtual reality. He looks at the dramatic intellectual and cultural upheavals that gave birth to it, at the hype that surrounds it, at the people who have promoted it, and at the dramatic implications of its development. Virtual reality is not simply a technology, it is a way of thinking created and promoted by a group of technologists and thinkers that sees itself as creating our future. 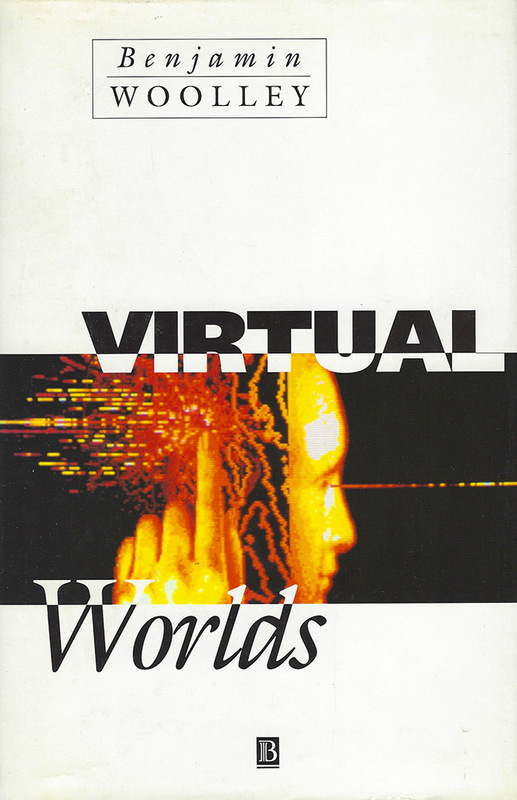 Virtual Worlds reveals the politics and culture of these virtual realists, and examines whether they are creating reality, or losing their grasp of it. On 7 May, 1987, the US multinational Proctor & Gamble submitted Olestra, a new food substitute, to the American Food and Drug Administration (FDA) for approval. Olestra was, in the judgement of the world's media as well as Proctor & Gamble's publicity, potentially one of the most significant nutritional breakthroughs of its time. It promised what every dieter desired, the realization of an impossible dream: fat-free fat. For a dietary aid, Olestra is made out of unpromising ingredients, sugar and fat. However, when they are chemically bonded together in the correct way, they form a new and very strange substance: sucrose polyester. It may sound better suited to manufacturing shirts than food, but sucrose polyester has interesting nutritional qualities. It retains the culinary and textural qualities of the fat, but in a form that the body is unable to digest. Result: a fat that passes straight through the body. In tests, obese subjects who ate a diet that used Olestra lost weight even if they were allowed to supplement the diet with conventional fatty snacks. Fat-free fat. It is a concept pregnant with its own contrary. When Marx used the phrase in 1856, he was commenting on an era that was having to come to terms with the violent impact of industrialization on the order of nature. This book is about the impact of an even more disorientating era: artificialization, of making dreams come true, of 'imagineering' as the Disney Corporation calls it. What are the extent and limits of the artificial? Is there, can there be, any contact with reality when it is possible to make fat that is not fat, when the fake becomes indistinguishable from — even more authentic than — the original, when computers can create synthetic worlds that are more realistic than the real world, when technology scorns nature? Evidence of artificialization seemed to be abundant at the time of writing this book. Wherever one looked, artificiality was triumphing over reality. In the closing months of 1991, as the Soviet Union broke apart, the fate of the embalmed body of Lenin, which had been lying in state since 1924, was in doubt. Some had questioned whether, indeed, it was his 'real' body at all, Lenin's unblemished facial complexion suggesting that it might be a waxwork. But who cares? Most British politicians would happily become a waxwork if it meant a position at Madame Tussaud's, the most popular tourist site in London. In an artificial world, there is no need for Lenin's material substance any more than there is a need for the great materialist state he founded. It is, perhaps, a fitting symbol of the triumph of the land of dreams over the empire of iron, the 'end of history', that Lenin should be left to decay while the cryogenically preserved Walt Disney waits in suspended animation (an appropriate state for a cartoonist) to return to the world that is now his. As the worms awaited Lenin, a book entitled Fly Fishing by J. R. Hartley entered the British bestseller list. Unremarkable though it may have seemed, this was no ordinary book. British Telecom had run a series of television commercials featuring an elderly man locating a copy of the out-of-print Fly Fishing by J. R. Hartley using the Yellow Pages. The man turns out at the end of the commercial to be J. R. Hartley. So moved was the audience by this story that bookshops and even the British Library were reportedly overwhelmed with requests for it — even though, of course, no such book and no such author had ever existed. So the publisher Random Century decided to create one. It commissioned the writer Michael Russell to ghost write the book, and hired the actor Norman Lumsden, who had played Hartley in the original advertisement, to pose as the author. The result was a fiction turned into fact — artificial reality. Few of us think about 'reality' much — those of us who intend to write books about it have to keep reminding ourselves that we are rare exceptions. It is, perhaps, the conceptual equivalent of unconscious motor functions such as breathing. It is vital to life —without it, we would be unable to distinguish the real from the imaginary, the true from the false, the natural from the artificial. But we do not have to think about it to use it — indeed, as soon as we do start thinking about it, it becomes extremely difficult to continue using it. For this reason, perhaps, some may regard it as a peculiar subject for any sort of analysis: it is a given, a fact of life, and best left hidden behind the curtain of unconsciousness. The prejudice that favours the products of nature over our own is, perhaps, understandable. Nature's approvals process is slower even than the FDA's, working at the pace of evolutionary time to separate dangerous substances from those to whom they are a danger. We are part of a natural order poised in a state of delicate equilibrium, safe as long as we keep to our position within it. This 'natural order' is a very basic, important structure. It is independent of us, uncontaminated by us. The problem with synthetic substances like Olestra is that they are not a part of it —worse, that they seem to ignore it, even violate it. Fat-free fat, like alcohol-free alchoholic drinks, sugar-free sweets and caffeine-free coffee, flouts the reality principle, the principle that you cannot have something for nothing, that everything has its price, that nothing in life is free, that there is no such thing as a free lunch, that there can be no gain without pain. Science and technology have arrogantly ignored this principle, and the result is a world filled with disease and pollution. But must it be thus? Surely there could be gain without pain —or, more appropriately given that Olestra is a dietary aid, less without distress, crapulence without corpulence? As the US News & World Report put it in a rather breathless report about food substitutes entitled 'Have your cake and eat it, too', 'the foodstuffs of which dieters dream are fast becoming realities'. And why not? A few cancerous rats prove nothing: there is no law of science (though perhaps one of logic) that says a fat-free fat is impossible. It is this sort of debate, and what for most of us is a genuine feeling of uncertainty as to exactly what we can believe that makes any secure, unexamined notion of reality increasingly troublesome. How is it possible to hold a clear view of the distinction between reality and fantasy when the unreal is continually being realized? There has never been a totally secure view of reality, certainly not in the industrial era of history. People say that the world is not as real than it used to be. Well, to adapt what an editor of Punch said in response to a tiresome criticism of his magazine: the world was never as real as it used to be. Indeed, it is industry, the power to manufacture what previously had to be taken from nature, that has made the world progressively more artificial and less real, that provided the wealth and energy to change the natural landscape, even to replace it with one of our own making. But equally the industrial era has been about the discovery of reality. The ability to manipulate nature, to turn its operation to our own ends, shows how successful science has been in discovering how it works, and technology in exploiting that discovery. The industrial experience, in other words, seems to have both destroyed reality and reinforced it. As we enter the so-called post-industrial era, the crisis continues. It is a favourite theme of nearly all commentaries about the times we live in. There is a 'legitimation crisis', a 'crisis of representation', and one great big 'crisis of modernity'. As Umberto Eco observed: 'Crisis sells well. During the last few decades we have witnessed the sale (on newsstands, in bookshops, by subscription, door-to-door) of the crisis of religion, of Marxism, of representation, the sign, philosophy, ethics, Freudianism, presence, the subject. . . . Whence the well-known quip: "God is dead, Marxism is undergoing crisis, and I don't feel so hot myself." The question such crises pose is whether this means that attitudes to reality have been undermined by the experience of modernity, or whether reality itself, something firm and objective, something underpinning the uncertain world of appearance, has been shown to be an illusion. Is the lesson we should have learnt from the last century that there is no reality? When the newspapers and the food manufacturers tell us that dreams are fast becoming realities, does that really mean that reality is fast becoming a dream? For centuries, the issue of what does and does not count as real has been a matter of philosophy. There have been two main questions, what could be called the ontological and epistemological questions. The ontological question is about being: what is real? Is there a reality behind appearance? The epistemological question is about knowing: what is truth? Is knowledge the product of reason or of experience? For most people, and certainly for most scientists, neither question is particularly relevant, because there are working systems that are used to tell reality from appearance, truth from falsity. When a court assesses the truth of a witness's evidence, epistemology does not come into it. The judge does not ask the members of the jury whether or not they are rationalists or empiricists. Similarly, the result of an experiment does not rest on whether the scientist performing the experiment is an idealist or materialist. 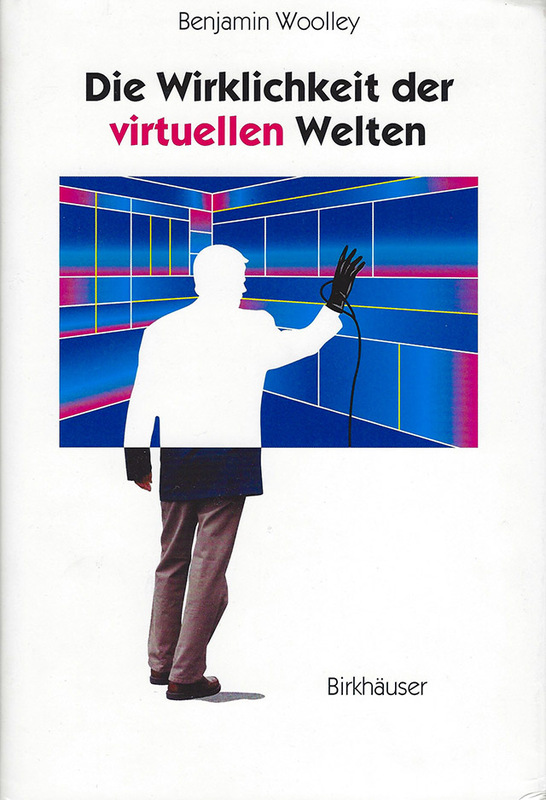 At Britain's first virtual reality conference, held in the summer of 1991, the chairman, Tony Feldman, tried to emphasize that the agenda he had drawn up was concerned with hard-headed, pragmatic business issues, but conceded that 'the metaphysics are inescapable'. Technology, he and the subsequent speakers observed, could manipulate reality to the point of being able to create it. Artificialization is no longer just a matter of cultural observation or intellectual angst, it had become, well, real. It is for this reason that reality is no longer secure, no longer something we can simply assume to be there. Most people probably now have some idea of what virtual reality is. It is the technology used to provide a more intimate 'interface' between humans and computer imagery. It is about simulating the full ensemble of sense data that make up 'real' experience. Ideally, the user wears a device that subsitutes the sense data coming from the natural world with that produced by a computer. Computer screens are placed before the eyes, 'effectors' cover the body, providing the sights of this artificial world, and the feelings that result from touching it. Furthermore, tracking devices attached to the body monitor its movements, so, as the user moves, so what he or she sees and feels is altered accordingly. This book does not provide a technical description or assessment of this technology. I am more concerned with the two issues that underlie its emergence as one of the 'Big Ideas' of the 1990s, issues that remain neglected by the computer industry, but which I hope to show are essential to making sense of the developments that have led to this rude instrusion of metaphysics into ordinary life. The first issue is simulation. Computers are unique in that they are all, in a sense, simulations of some ideal computer, a 'universal machine'. Everything a computer does can be seen as a simulation, except that many of the things it simulates do not exist beyond the simulation. What, then, is simulation? Is it just another form of imitation or representation, fiction for the computer age? Can anything be simulated — even reality and human intelligence? These questions raise important mathematical and scientific questions, and in attempting to answer them I hope to show what is 'special' about the computer, why it is not just a glorified calculator, and why those who have developed it have attributed to it is such extraordinary creative powers. 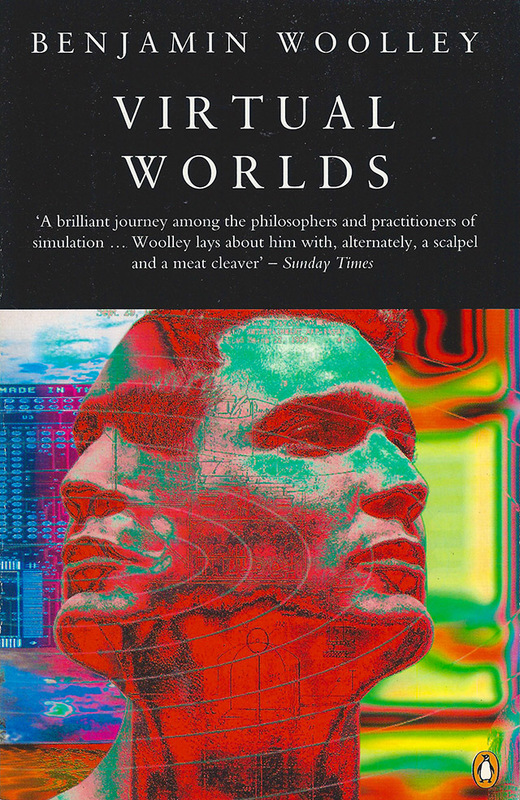 The second issue concerns artificial reality. It is a strange, provocative notion. It is hard to tell on first acquaintance whether it is meaningful or meaningless. It could be a new paradigm, it could be pretentious. It could be an oxymoron, a figure of speech that uses what sounds like a contradiction to suggest a much deeper truth. It could just be a contradiction. It has become a general-purpose metaphor for both the present and the future, one that is easy to pick up but impossible to put down. Its attractions are obvious. It is a term full of novelty and puzzle, provocatively coined to intensify a deep-seated insecurity as well as capture a sense of technological adventure. 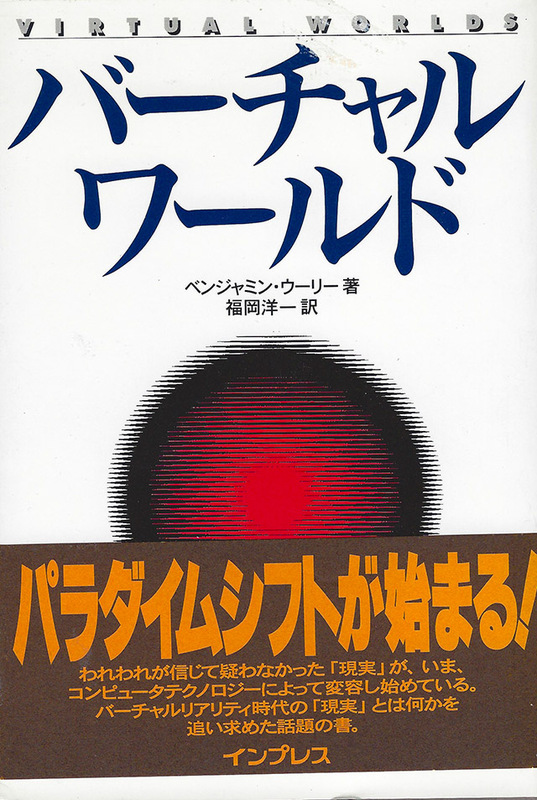 The term's origin is generally attributed to Myron Krueger, an American 'computer artist and educator' (his own description), who used it as the title of a book written in the 1970s but not published until 1983. The book's subject was what he called 'responsive environments', art installations in which lighting and sound would change according to the movement of people walking around them. He did not, however, use the term 'artificial reality' as a technological label. He had a more ambitious use for it: 'The world described in Genesis, created by mysterious cosmic forces, was a volatile and dangerous place. It moulded human life through incomprehensible caprice. Natural beneficence tempered by natural disaster defined reality. For centuries, the goal of human effort was to tap Nature's terrible power. Our success has been so complete, that a new world has emerged. Created by human ingenuity, it is an artificial reality. The champions of virtual reality and computer simulation —who are not just pioneering visionaries but powerful commercial interests — are wanting to make artificial reality real. To them, it promises not just a world where you can eat fat without getting fat, not just a metaphor, but the actual creation of any world you could ever want or imagine — fantastical, fabulous, terrifying, infinite, enclosed, utopian, Stygian. I want to look at the validity of such promises, and to discover their influence over the whole notion of reality. Artificial reality has acquired the role of a sort of Barium meal ingested by the body of society and culture, its spreading glow revealing, under the X-ray of critical examination, the growths and malfunctions of the internal organs. Just like a Barium meal, some people find any discussion about artificial or virtual reality hard to swallow. Upon introducing the idea to innocent members of the lay public, I discovered that, far from showing mild interest, or no interest, they would look at me as though I had announced myself to be the risen Messiah. Life, they seemed to say, is complicated enough without making it more complicated with such outlandish ideas. Such an attitude has a proud and long tradition in Anglo-Saxon culture. You could say it was formulated as long ago as the fourteenth century, when it came to be known as 'Occam's razor', after the English philosopher William of Occam. Occam was a ferociously ascetic Franciscan, so ascetic he actually led a revolt in favour of poverty, when Pope John XXII threatened to end it as a monastical principle. He was an equally ferocious intellectual ascetic, demanding that in philosophical theory, 'entities are not to be multiplied beyond necessity' a principle more economically expressed in the phrase 'cut the crap'. Judged in such terms, most contemporary theory, especially that coming from the fields of information technology and cultural criticism, seems in need of a good shave. Some contemporary theorists positively encourage the multiplication of entities. One of the most enthusiastic is the influential French sociologist Roland Barthes, who died in 1980. His most important work was Mythologies, a book that unblushingly used the most sophisticated analytical techniques to examine the most commonplace objects and activities: wrestling, margarine, photos of Greta Garbo, polystyrene. It was Barthes's explicit aim to break the illusion of 'naturalness' that is used by mass media to dress up reality. He wanted to show that our notion of the natural and the real is really a highly political construction, a product of history: 'In short, in the account given of our contemporary circumstances . . . I wanted to track down, in the decorative display of what-goes-without-saying, the ideological abuse which, in my view, is hidden there.' He set out to be reality's party pooper, to show that, in his language, it is the product of myth. Neologisms are, Barthes claims, essential precisely because of this myth. What we take to be fixed and certain is, in fact, constantly changing, and so the language used to analyse it must change too. The words that appear in dictionaries, words that are presented as having meaning independent of history, are no use. We need new ones: 'neologism is therefore inevitable. China is one thing, the idea which a French petit-bourgeois could have of it not so long ago is another: for this peculiar mixture of bells, rickshaws and opium-dens, no other word is possible but Sininess. Unlovely? One should at least get some consolation from the fact that conceptual neologisms are never arbitrary: they are built according to a highly sensible proportional rule'. Artificial reality. Unlovely, or built according to a highly sensible proportional rule? Just another example of intellectual stubble and a candidate for Occam's cut-throat, or a perfectly legitimate example of a new term for something that has not been previously recognized or expressed? My belief is that artificial reality does reveal a great deal about the 'myth' of reality — about the way that the idea of reality is used and understood, at least within the Western culture that gave birth to it. If nothing else, it reveals that much of what we take to be reality is myth, just as Olestra reveals that the idea of fat is a myth. It reveals that the things we assume to be independent of us are actually constructed by us. It reveals that being 'real', like being 'natural', is not simply a value-free, unproblematic, apolitical, objective state — though part of its mythology is to make itself appear to be so. It reveals that, like 'new' and, indeed, 'natural', 'real' has been abducted by business as a marketing term. Artificial reality, then, expresses the ambiguity of current attitudes to reality. But that ambiguity is not, as most commentators on the subject have taken it to be, evidence that there is no reality. Just because there is a reality myth does not mean that reality is a myth. The absurdity of such a position is revealed in attempts by some antirealists to argue that they cannot assert reality to be a myth because that would be to assert that what is real is that reality is a myth, which cannot be asserted as there is no reality (because it is a myth). I want to show that such denials of reality are mistaken, that there is a reality, and that the virtual form of it, far from releasing us from it, can help us recover it. I also believe we need it. Take away reality, and all that is left is relativism, a belief that truth can be established simply by asserting it, that the self is all that exists — no, that myself is all that exists. The computing industry was built on the liberal belief in the individual as the only legitimate political entity, and virtual reality has, in some hands, been promoted as the ultimate embodiment of that principle. What better way of expressing your individualism than by creating your own, individual reality? 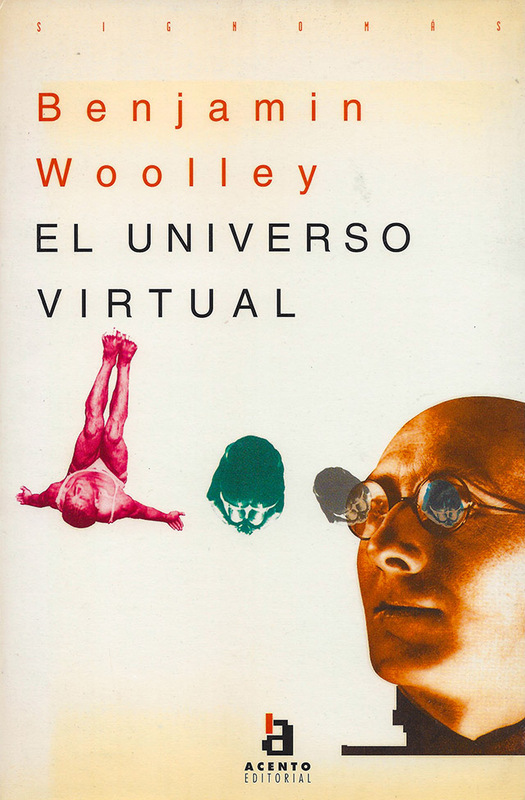 Empowered by the personal computer, liberated by virtual reality, the individual becomes the God of his or her own universe. The sight of someone wearing a virtual reality headset is the ultimate image of solipsistic self-absorption, their movements and gestures meaningless to those left outside. We have to look, then, at how virtual reality and artificial reality, the technology and culture, are changing public reality. Because the formidable might of commerce and in particular the computing industry have been deployed in defining reality, we need to look at what they mean to do with it.